In 2014 Nigel Farage shocked Westminster by leading Ukip to victory in the last European parliament elections: the first time the Conservatives or Labour hadn’t topped the ballot in a nationwide election since 1906. Since then Farage has left the party and officially launched the new Brexit party to fight this round of somewhat unexpected EU elections. At the launch, Farage put his money where his mouth is, announcing he had placed a £1,000 bet on his newly formed party topping the ballot in next month’s vote. At the weekend YouGov released the first YouGov/Times poll of the EU election campaign. Farage’s party currently finds itself in third place on 15%, within the margin of error of the Conservatives on 16%, but currently a way behind Labour who are on 24%. However, there are many reasons to believe they will make up that ground over the coming weeks, and Farage’s gamble looks like a fairly smart bet. The polling shows that a significant chunk of voters who backed the Conservatives in 2017 are dissatisfied with the direction the party is heading on Brexit. Just 11% think the government is handling Brexit well, compared with 84% who think they are handling it badly. 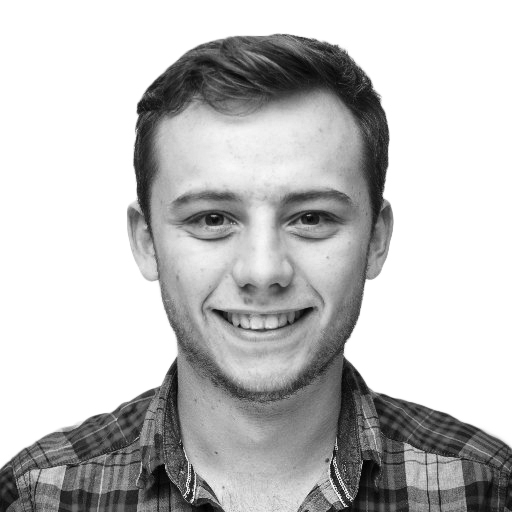 Additionally, many more voters who backed the Conservatives at the last election think that leaving the EU without a deal – which the Brexit party is advocating – would be a good outcome than think Theresa May’s deal would be a good outcome (it’s 48% for the former versus 21% for the latter). And that seems like an entirely achievable task. 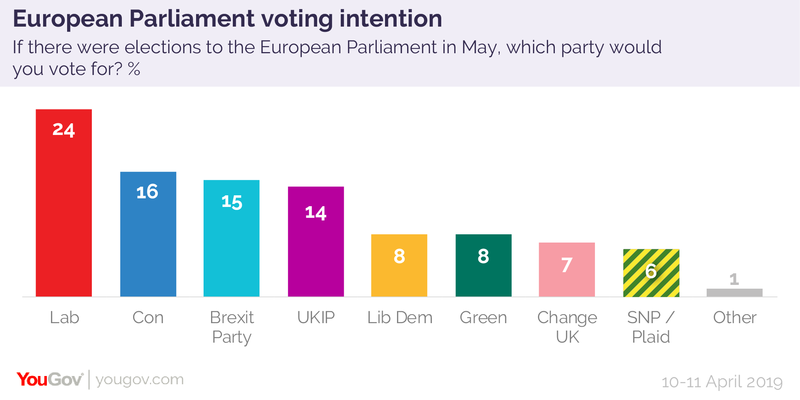 Firstly, the Brexit party has already achieved a 15% vote share as a force that is still fairly unknown, with the fieldwork for this poll taking place before the party officially launched last Friday. Many voters at this stage might not yet be aware of the party, and critically will not yet associate it with Farage. While a divisive character, Farage is still popular among the key voters he needs to win over. The majority (56%) of leave voters who backed the Conservatives at the last election still say they have a positive opinion of him. Meanwhile Ukip, which is currently dividing the vote share, has not only lost its main salesman, but now finds itself being openly attacked by him. It may be holding 14% of the vote share in our European parliament poll, but it is easy to see how much of this could shift away once the campaign gets going. Turnout could also easily work to Farage’s advantage in next month’s poll. For the first time since 1999 the European parliament elections will not be happening on the same day as the local elections. That election had very low turnout, with just 24% of eligible voters registering their vote. The effect of this will likely be that fewer loyal supporters of the two main parties make the trek to the polling station. At the same time, those on both extremes of the debate who are energised by Brexit will make up a larger proportion of the electorate, further boosting the Brexit party vote share. It is entirely plausible that we are facing another Farage-shaped upset at the ballot box. While there are more than five weeks of campaigning to go, I certainly wouldn’t bet against him.